DO-68484-48 was succesfully added to your cart. Immense functionality in a compact footprint. its complete, yet simple front panel programming to optional setpoint control and communications modules for added capabilities, CUB5 panel meters offer ultimate user flexibility. These meters feature sealed front bezels rated NEMA 4X/IP65 for use in washdown environments. Measuring DC Current and Voltage is no problem for the CUB5 Panel Meters. The CUB5ID, DC Current Meter offers 4 Current Ranges with a maximum input of 199.99 mA. The CUB5VD, DC Volt Meter has 4 Voltage Ranges, and a maximum input of 199.9 VDC. Process Signals from flowmeters, pressure sensors, and positioning sensors are quite common on today’s plant floor. 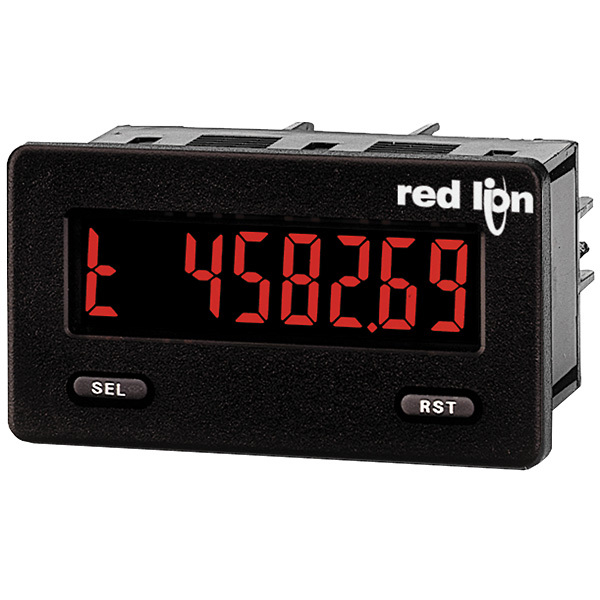 The CUB5P, Process Meter is designed to accept these signals and display them in the desired display readout. Most industrial processes use some form of Temperature Measurement, typically from RTD or Thermocouple Sensors. The CUB5RT is designed to accept inputs from RTD sensors and the CUB5TC accepts Thermocouple sensors.